Home to the Parsec Award winning, Star Wars podcast, that ponders the deep meanings and intricate workings of the Saga. Taking a look at the franchise in a more esoteric way than you're used to; it's nothing but pure Star Wars goodness. In this mini-podcast, I teach my 4yo daughter about space exploration, astronomy, and history. To ignite the spark of curiosity and cause her skyward gaze to be filled with wonder. If you would like to contribute to our patreon you will be not only helping me produce this show but allowing me to purchase books, videos, and field trips to ... See More better communicate the wonders of space to Lizzy. No more excuses! Join these heroic podcasters as they plunge the depths of cinema to watch all the movies they should have seen long ago. From classics like Citizen Kane to fan favorites like The Princess Bride, your hosts seek to not only make up for their years of cinematic ignorance but to delight the masses with their thoughtful and ... See More entertaining examinations. Checkout two married nerds and their slant on all things geek. Join The Girl and her husband, Tristan Riddell, as they delve deep into TV, Film, Nerd Culture, and everything in-between. 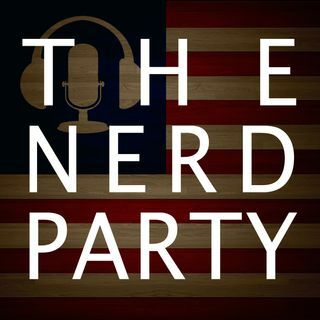 A show from The Nerd Party where we can go back and review some of our favorite (and not so favorite) movies and television shows. Lee Hutchison and Dallas King tackle every single movie released by A24, one of the most groundbreaking companies distributing some of the industry's most original films. Time and Space celebrates “Doctor Who,” one the world’s most enduring television sci-fi series. Co-hosts (and recently married couple) Jessica Nunn and Phillip Gilfus take an in-depth look at the current episodes of the Doctor and her companions, exploring how the new adventures of the Thirteenth Doctor break new ground and reach back ... See More into the canon. Jessica, a newer Whovian and an 11-year resident of the United Kingdom, and Phillip, a lifelong resident of the USA and fan of classic & nuWho, join together to discuss characters, stories, technology, Big Finish audio adventures, novels, and comics. They journey into the “TARDIS archives” each episode to look at how classic Doctor adventures helped pave the way to contemporary stories. Join Time and Space as Jessica and Phillip explore their love of “Doctor Who,” and, occasionally, for each other.